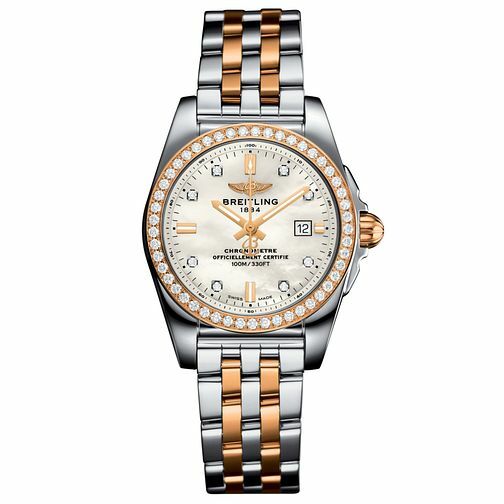 Polished stainless steel and Rose Gold and a cream dial are paired to deliver contemporary elegance with this sleek ladies' bracelet watch. Powered by SuperQuartz movement and water resistant to 100m, this timepiece also offers a stunning diamond set bezel and diamond set hour markers. The perfect combination of high-performance technology and sophisticated aesthetics.